Note for the new download : This is not in .zip format anymore. I now have this in .tgz format. This means that you can load this without having to unzip it. Just load it as you would an .oar file but instead of putting in filename.oar you willl put in filename.tgz for whatever OAR file you are trying to load. This is a “Mature” rated sim. It contains cuddles and kiss poseballs. 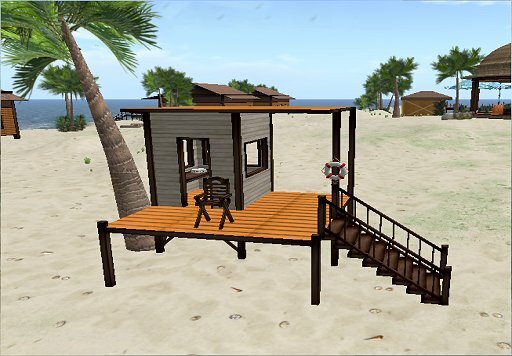 I have created this sim using my own builds, animations, textures and such. This is a large file and may take awhile to download. For instructions on how to load an OAR file go HERE. Below you can see a few snapshots of what the sim looks like. Disclaimer: I am not responsible for the content you offer to your grid. Once you download this you must make sure that you go through it and take out anything that doesn’t fit with the age group for your grid. NOTE: Once the OAR is loaded on your grid you may need to reset scripts in the scripted items (poseballs, rides, furniture). Edit the item and choose “tools” from the upper menu bar an then choose “reset scripts in selected”. 1. The easier solution is to download the files using a different browser. This sim is residental and commercial. 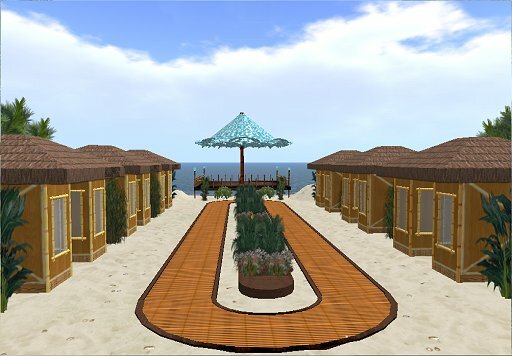 There are Tiki Huts/houses that are unfurnished. A little commerical area with 6 little shops. One shop contains swimwear and the others are empty allowing you to put in the merchandise you wish. At the end of the shopping area is a romantic dance deck with couples dance balls. My first attempt at making offshore waves are shown here as well. 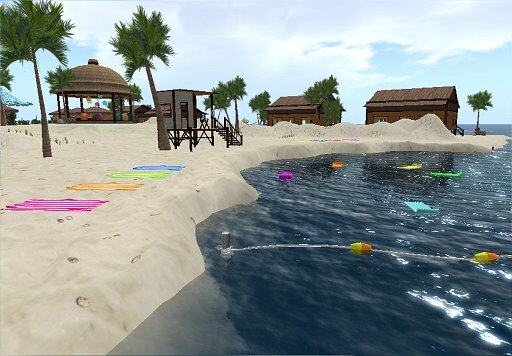 A little swim beach with rubber raft floaties and beach towels with animations and a life guard shack. A close up of the life guard station. 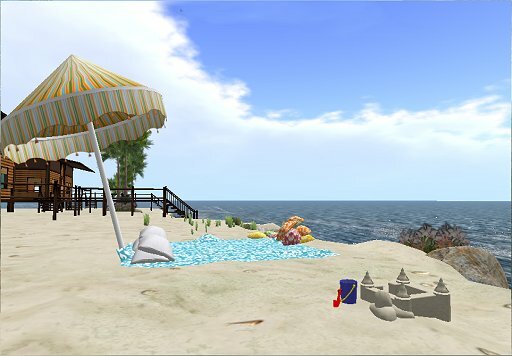 A sandcastle with animation and there are beach blankets to relax on by the water. The rocks along the coast in this area have sits on them. The center of the sim landing point. 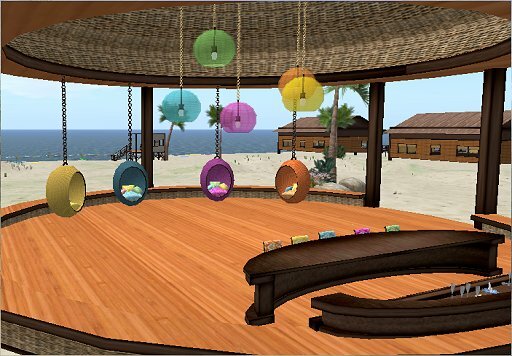 There are hanging lamps and hanging chairs with male and female sits. Also a bar. 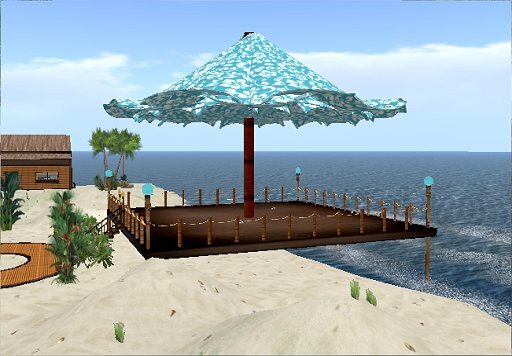 A good place to land and hang out to chat with visitors of the region. 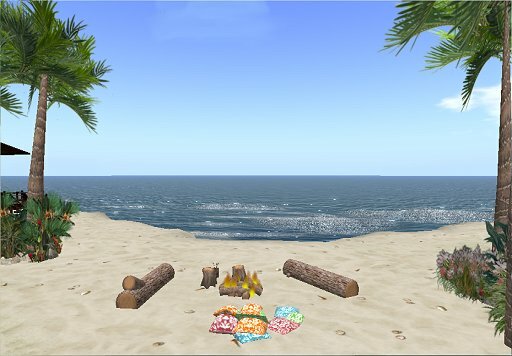 A campfire with roasting marshmellow animations, couples cuddle pillows and logs with sits on them.